Let’s face it – bilingualism can sometimes be a necessity, and other times a must-have. In the 21st century, most of the world is becoming increasingly multilingual. For example, in the United States, more than 21% of school-age children (aged between 5 and 17) speak a language other than English at home. The number is obviously projected to increase in the coming years. On a worldwide scale, the number of second language speakers of English is now greater than native English speakers. Also, there are as many bilingual children as there are monolingual children. What’s most important from all of this is the fact that families nowadays have an option – whether to send their children in a standard pre-school or a bilingual one. Below, we are listing how can your children learn more than one language in an easy and non-obstructive way. How Can Your Child Learn More Than One Language In Preschool? Simultaneous acquisition – this happens when a child is raised bilingual from birth or when the second language is introduced before the age of three. Children who are learning these two languages simultaneously go through the same developmental stages as the children learning one language. Still, children learning the two languages separately tend to separate them when using them and switch from one to another language according to their conversation partner. Sequential acquisition – this occurs when the second language is introduced after the first one, which is a case in many English-speaking families or with families immigrating to a country where a different language is spoken. In cases like these, a child who acquires a second language may use his home language for a brief period, go to a “silent” (non verbal period), use short or imitative sentences or produce his own sentences. All of this can affect the development of the child’s brain and their ability to communicate and use the second (or both) language(s). 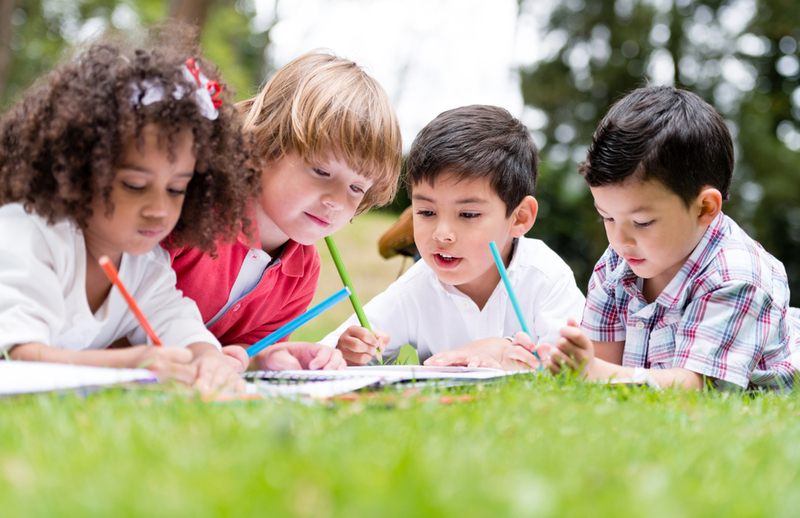 In almost every case, bilingual education comes with numerous benefits. In a world that is overly connected and with dozens of languages being spoken all around, a foreign language is one of the best gifts that you can give your child. The truth is, young children are natural language learners. It is far easier for them to learn a language at that age compared to learning it when they are adults. Also, they have the innate ability to learn several languages seamlessly and simultaneously. In fact, many studies have shown that there are a lot of benefits to the exposure of a second language in early childhood. Bilingual children have demonstrated increased problem solving skills, better cognitive abilities, increased memory and improved capacity for abstract thinking. Also, they are more creative and can adapt to any environment in an easier way. Being able to experience a foreign exchange environment is also expanding their multicultural awareness as well as stimulating their curiosity about other parts of the world. As such, this is fostering an appreciation for understanding multiple points of view. If you are ready to put your children on the right path to success, the best way to begin learning a second language is in pre-school. You should not wait for years until you introduce them to a second language. Instead, the earlier you do that – the easier it will be for your child to pick up the unique sounds and verbiage of the specific language. Start now – The best second language learners are two and three year olds who just learned their first language and are still increasing their vocabularies. In cases like these, introducing a second language will make it easy for your child to hear and produce certain sounds but also adapt and be able to speak the language fluently later. Create a casual learning environment – You should ideally look around for preschools that are teaching a second language. The atmosphere present in those preschools should be casual, relaxing and conversational. If your child is exposed to conversations, he or she will begin to pick up the sounds and the natural accent. So, you should choose a language that is spoken in your neighborhood – or one that is offered in classes or playgroups in your area. You can also encourage your babysitter to speak her native language to your child and expose your little ones to TV shows and entertainment in the same language. Have reasonable expectations – Most of the times, a child won’t learn to speak another language by just hearing words. Therefore, the best option is to sign them up in a preschool where they could be able to hear and talk the language. If you are looking for the perfect bilingual preschool and daycare, let us welcome you to Whiz Kids Preschool – your one-stop destination for bilingual success! It all began in 2018. Inspired by the importance of knowing a second language, we create our preschool, hired teachers and started welcoming children from all around the city. The result has been the same ever since – motivating and inspiring children which flourish in our learning atmosphere and are developing as sound individuals. So, if you are ready to make the next step, now is the time to join our community of children, families and teachers – and engage your loved ones in the joy, curiosity and wonder of childhood! For more information about our school, staff and mission, contact us today!